Autodrop is slightly eccentric, rebellious, funny, irresistible and a bit cheeky. The sweets are even tastier because of the philosophy: 'The crazier the sweet, the better it tastes'. 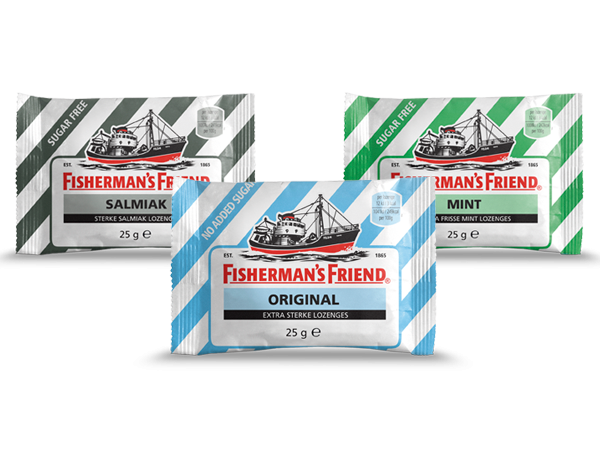 Fisherman's Friend has a range of seven flavours in the Netherlands, varying from refreshing to strong taste experiences. THE genuine liquorice from the Netherlands! 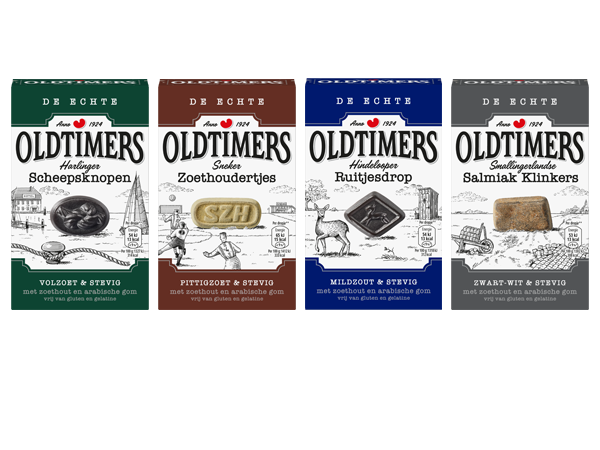 Best quality liquorice made from original recipes and with typical Frisian product names. 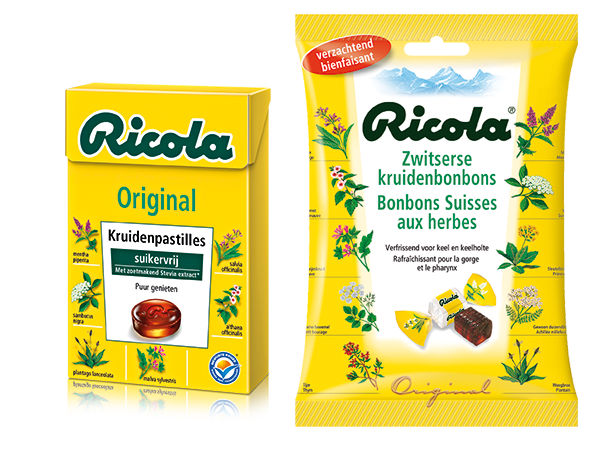 There is only one brand that stands for Swiss quality in combination with knowledge about herbs, and that is Ricola. Unique products made from naturally cultivated Swiss herbs, that are famous for its unique, delicious taste. Schuttelaar has embodied tradition, quality and craftsmanship since 1918. The traditional products that we produce are made with love. 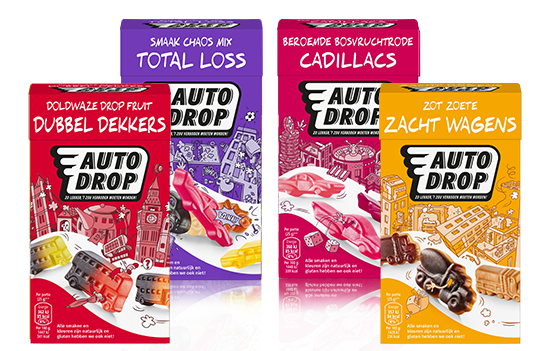 One of our export labels, consisting of liquorice and sweets in the shape of cars. 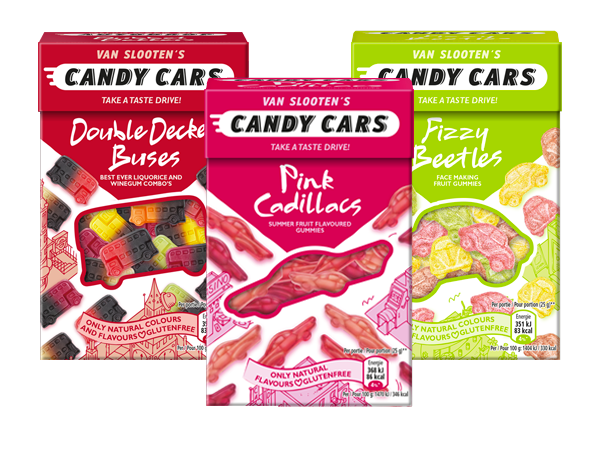 This makes Candy Cars the most amusing liquorice and sweets concept in the world. Take a taste drive! 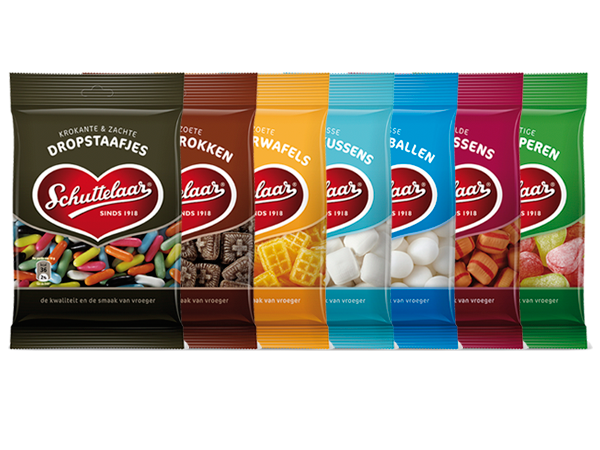 Candies in all colours of the rainbow. Always expect the unexpected. 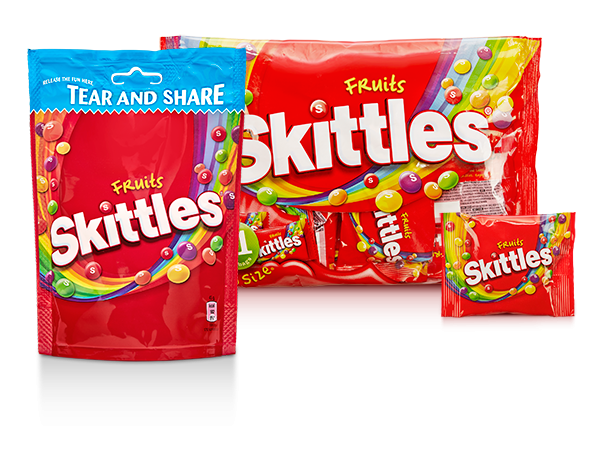 Skittles, taste the rainbow! Established in 1918, the road to Van Slooten's success has been a long one. 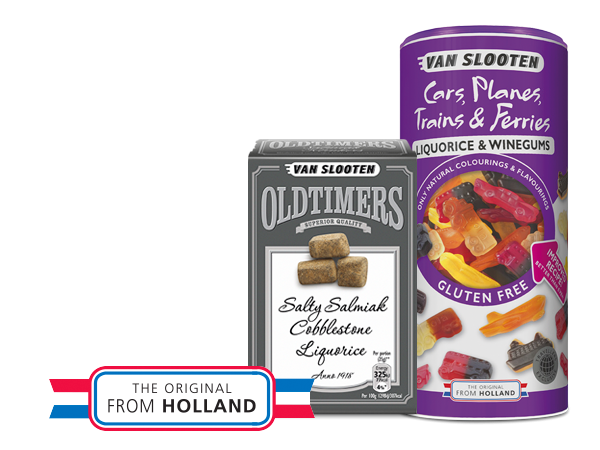 Van Slooten is a premium quality brand of sweets and liquorice, packed in convenient packages as tins and boxes. The products are exported to the international markets. 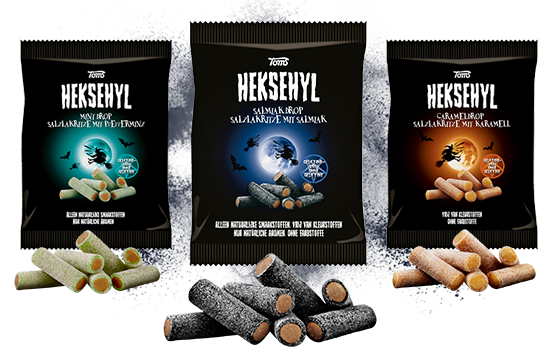 Heksehyl, which means the shout of the witch, makes unique extruded liquorice with a delicious taste. Try the Weerwolvendrop, Heksendrop or Trollendrop by yourself if you dare! 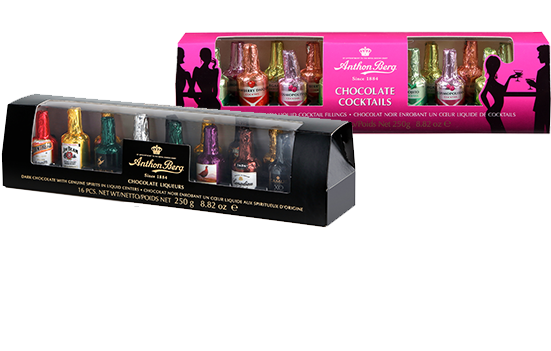 Anthon Berg is one of the only chocolate brands in the world where products are developed and produced from scratch. The name is now recognized around the world and stands for chocolate that meets highest quality standards. For over half a century now, Anthon Berg has borne the distinguished title, “Purveyors to the Royal Danish Court”.